Finally in true HD (was only a DVD source before). Low turnout last week for Goseiger. They also received a subpar 2.8 out of 5. I think this one will have a better turnout. 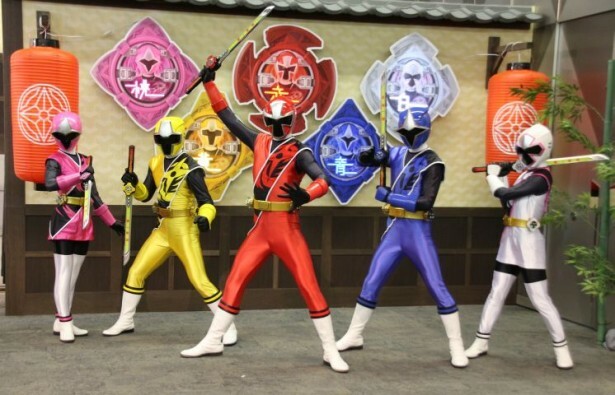 What did you think of Shinkenger? Now I can use these pics. Have you counted up all the former Sentai guest appearances yet? And can you count up all 199 heroes? I also made some screencaps from the creditless ending. You can download them here or from our Photobucket account. And so the Gosei Angels completed their mission and returned back to the stars. And that should do it for Goseigers on the SD front. I don't really know who these women are, but it appears to be Goseiger related. In addition to the TV series, this also includes the movie, some Dice-O stuff, and some toy stuff. As well as the low quality music video featuring NOB, the guy who did the Boukenger opening. Another batch will be released that will cover the Versus stuff. One last thing to get out of the way before releasing the Goseiger batch. Goseiger Last Epic And more stuff like toy commercials, the music video promo for the opening, and movie trailers that come with the DVD. Note: The HD release will have the same SD files. That's because Goseiger Returns was a DVD-only release. No Blu-ray. Thanks Toei. So some files will be duplicated if you get both torrent batches. Plus we released the Super Sentai Versus Series Theater SD version. (HD coming up, I just wanted to stagger the releases.) Fair warning, they do talk about the movies and the shows they're based on, so there's some spoilers. But if you like Sentai, hopefully you'll enjoy the tour that the Goseigers take us through. Edit: If you don't know what the Super Sentai Versus Theater thing is. It's simply the Sentai Versus movies chopped up into half hour chunks and then aired before the Goseigers in the morning. So the Goseigers hosted the intro and outro to the show, this is the part that we've subbed. Hopefully this will fix the issues that people have been having with it. 3 hours left at present. Yep. It's out! Go enjoy it. Farewell, once more, to the Shinkengers! The last HD batch is out. Go and get it! 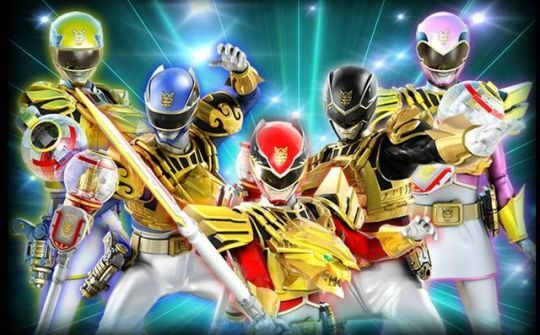 This pic is a promo for the Goseiger Returns thing in June. Look forward to it! So we got some raws for 43-50. Expect HDs of them coming up sometime in the future. Looks like we're missing some episodes inbetween, so let us know if you know where to get them. We're also still looking for a personal HD raw provider for the group as well. Goseiger 50 released Thanks for watching this with us over the last year! Women in the front, men in the back! Q. Who is Mark Musashi? It's the final countdown! Da da da. Da da da da!